Here’s a Reiki technique to make your life easier. You can use it for specific situations or live this way all the time. You might notice if you radiate Reiki from your heart chakra people are attracted to you, simply because they feel better in your presence. Animals and people alike are drawn to those vibrating the energy of love. Allow Reiki to open your heart and flow out of your heart chakra. While keeping your heart open to the Reiki, flow love and light from your Divine Source down into your heart through your crown. Ground your energy through your root chakra into the Earth. Feel the supportive Earth energy flowing up to your heart chakra helping you stay centered in your loving power. Let the Reiki flow like a loving stream to the person or people near you from your heart chakra. Feel the Reiki love and wisdom going from your heart to the other person’s heart. Remember the Reiki always respects each individual’s free will. It won’t enter someone’s energy field without their willingness to receive. Subconsciously, most people are very willing to receive loving and supportive energy. One beneficial time to use the Heart Chakra Reiki Blast is when someone is making a decision. If their decision directly effects you, just state your case with an open heart with the Reiki flowing and let the person know the decision is in their hands. The Reiki will encourage them to follow their heart in their decision making process. Stand back and let them go within and choose what they’ll do. Trust that whatever answer they give that’s it’s in the highest good for all concerned. Remember that you are showering them with open and loving heart energy. It feels good to be showered in loving energy. When we feel good we make loving, heartfelt choices. There are countless ways this technique can be helpful. I think about places like the DMV or the post office at the holidays and Reiki making the experience more positive for everyone. If you find yourself in your car on the side of the road after being pulled over by a police officer, remember to turn on the Reiki. Perhaps you will drive away with only a warning. Radiate Reiki love like the sun. For more positive results in your life, keep your Reiki turned on. Let your heart be open and loving as often as possible. Imagine feeling as good as you can in each moment, someone who radiates love from their heart. When you are fully open to the Divine Source within your heart, people who interact with you feel great after being around you. Imagine the person you just interacted with opens his heart and he goes off and showers the next person he talks to with love. Before You know it we’d have world peace. Or at least a few people who had a better day because of your loving heart. You will attract the best from others and give the best of yourself when you let the Reiki flow through your heart. If you aren’t attuned to Reiki, you can still intend to stay connected with the loving energy within you. Reiki does make it easier, so get attuned when you can. Here’s to Reiki and wide open hearts and a world filled with love! The Healing Benefits of Going Barefoot With Reiki. Are you feeling scattered, drained, anxious, having trouble sleeping or headaches? A free healing session is just beneath your feet. 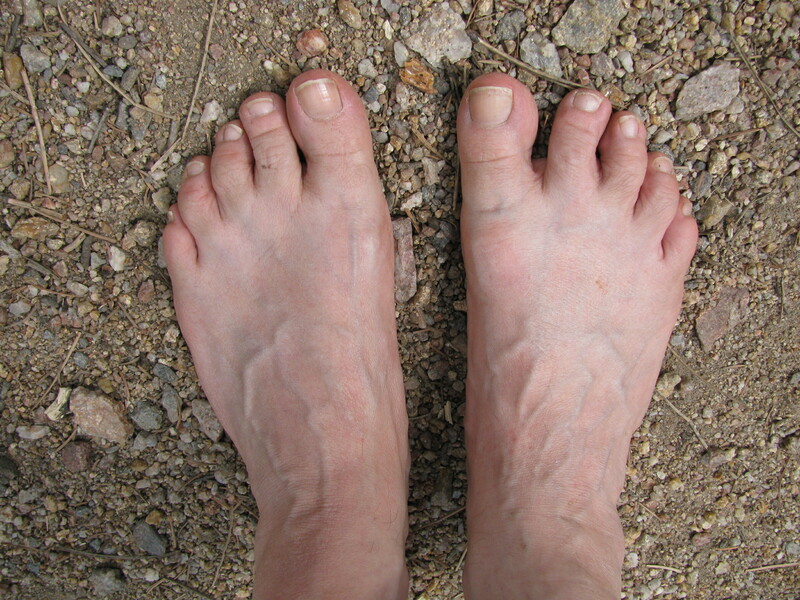 Going barefoot allows the Earth to scan your feet and give energy reflexology to your body where you need it. The energy will actually travel to your organs, like in reflexology. Walking barefoot also stimulates your healing reflexes when uneven ground or rocks press into the soles of your feet. When you sit or stand barefoot on the Earth, also called Earthing, you may notice a warm soothing energy radiate up your feet, legs and into the rest of your body. The Earth energy feels very similar to Reiki. The Earth energy has the ability to heal, sooth and reset our energy bodies. The Earth gets to know you and gives you just what you need energetically, just like Reiki does. The Earth feels your unique energetic imprint and supports your varying needs. The Earth gives us negative charged electrons which neutralize free radicals in our body. Earth energy acts like an antioxidant. Being in direct contact with the Earth stimulates the body’s self-repair systems, just like Reflexology and Reiki do. The sun sends charged particles to the Earth and then the Earth shares this beneficial energy with us. The best way to Earth and absorb the healing and nourishing energy is to be barefoot on the ground or sit on a cotton sheet or blanket. Walking on the beach or sitting on grass are very beneficial. The Earth is basically sharing electrical currents of energy with you, so think moisture which conducts electricity. Wood, rubber, plastic don’t conduct electricity. Sounds like some of the same benefits of Reiki and Reflexology, right? If you are attuned to Reiki, give yourself the added benefit of a self Reiki session while you Earth. It’s a good idea to spend about 5-20 minutes a day Earthing, longer if you can. I know when I do, I always feel recharged and uplifted. How can you Earth when ground is snow-covered or it’s too cold outside? Well if you’re like me, you may find yourself sitting on a clear patch of ground that is not covered in snow in the blustery wind for a few minutes just because it feels so good. It’s surprisingly warm. Here’s a simple meditation to use Reiki to connect with that loving, nourishing and healing Earth energy. You can try this if the weather is not conducive to walking barefoot or you live in the city. You can do this outside, close to the ground, if you can. It will also work indoors. If you’re not outside, imagine yourself sitting directly on the ground. Send Reiki to the center of the Earth. Feel your heart lovingly connecting with the Earth’s heart chakra deep in the Earth. Feel appreciation for your connection with the Earth and all the loving support she gives freely while the Reiki continues to flow. Allow your energy and heart beat to sync with the Earth energy and heart beat. Keep feeling the Reiki facilitate your connection with the grounding Earth energy knowing the divine energy in your heart is connected with the Earth’s divine light. Giving the Earth Reiki while she gives you her healing energy is such a mutually beneficial relationship. Even if you aren’t attuned to Reiki, the Earth feels the healing effect of your love and appreciation. P.S. If you are looking for simple methods to stay grounded and run your own unique energy so other’s don’t drain you. Click here to check out this Heal Yourself home study program. Have you ever wanted the Reiki to keep flowing over an area while you work on another area of the body? Have you ever wished that everyone entering your home would clear their energy upon entering? Have you ever desired your morning shower to clean more than just your physical body? Try creating a Reiki shower or Reiki rain. How do you make this Reiki rain you may ask? It’s really quite simple whether you’re attuned to Reiki, level I or II. If you’re attuneded to the second degree, draw the distant symbol vertically in the air and the power symbol horizontally below the distant symbol. Visualize the Reiki coming through the distant symbol and raining out of the power symbol like water from a shower head. If you’re a 1st degree Reiki practitioner, just visualize a shower head or a ball of Reiki raining down in beautiful colors over the area you place it. 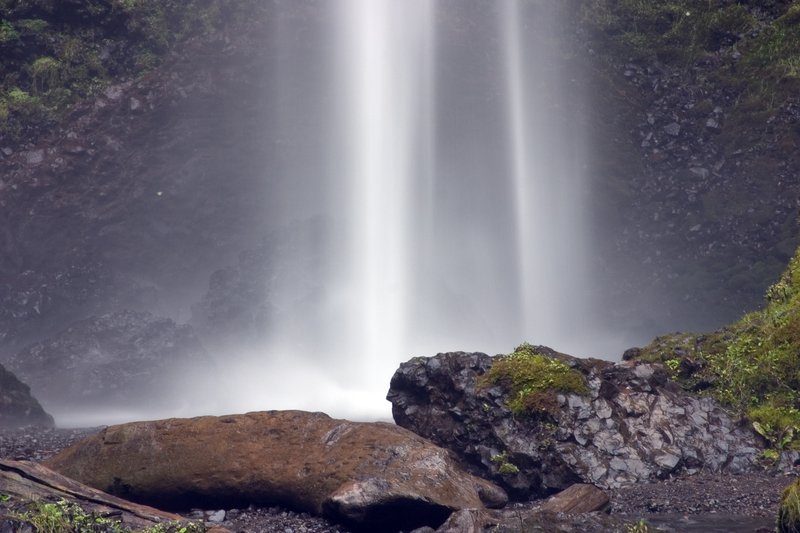 The Reiki shower will allow Reiki to flow over an area clearing and charging the space continuously. When you create the Reiki shower intend that it remains active for 12 to 24 hours. You can reset them as often as needed. You can use the Reiki shower to clear a space in your home. I like to leave the Reiki showers over my doorways to keep my space sacred. That way when someone enters my home, the Reiki will clear their energy as they walk through the door. I just finished a long drive and sent distant Reiki ahead of myself to the part of the drive I usually get a bit tired. Then I realized I didn’t need to wait till I was tired to Reiki myself. I created a Reiki shower over my car right then while I was feeling good. I kept seeing and feeling the colorful and energizing Reiki supporting my drive. I never did get tired on my 13 hour drive. You could try creating a Reiki shower over your house plant that needs some extra love or your garden. Try one over your bed for a rejuvenating sleep. Put one over your shower head and feel the extra deep cleaning of your aura. You can leave it over yourself all day long along with your protection roses. Notice how your day goes with Reiki showering your aura all day long. When I’m giving healing Reiki session I use the Reiki shower technique often when I want to keep the Reiki flowing over a receptive part of the body when I’m called to move to another position. What ideas do you have for using a Reiki shower? No matter if You are a Reiki I practitioner or a Reiki Master there are ways to help the Reiki flow more strongly. Of course You can use the power symbol if you are attuned to it. Right now I’m going to suggest some other ways to help the Reiki flow more powerfully when You want it to. The first way is to feel appreciation for the Reiki right now. I offer thanks before, during and after a session. When I feel grateful for the Reiki energy I feel it grow stronger. It follows the law of attraction by giving attention to the Reiki it flows more noticably. Appreciation also raises your vibration which allows the Reiki to flow more through You. The second way is to allow your heart to open and feel love for the person or animal or situation that You are Reikiing. Give it a try next time You are Reikiing someone. Just start thinking loving thoughts or bring attention to the love that pours from Your heart to theirs. If You are Reikiing Yourself, then think loving thoughts about Yourself. A third technique that is especially helpful to Reiki I practitioners is to rub your hand on where you want the Reiki to flow more strongly. If you are working on someone’s arm for example, just gently rub Your hand over the spot. Then allow the Reiki to keep flowing. You will most likely feel more heat or tingling sensation in your hand. A fourth way to increase the flow of Reiki is to get another attunement. Each attunement increases the flow of Reiki. You can even receive another attunement to the same level that You’re already attuned. Of course You will need to contact a Reiki Master Teacher for another attunement. I myself will re-attune people without having them take the entire class again. Finally, receiving Reiki sessions will remove energy blocks and align Your energy so You can more fully channel the Reiki to others. You can trade with other Reiki practitioners or find a Reiki share to attend in Your area. If you live near me in Colorado, I have a Reiki share list to email notices of Reiki shares. In any case, no matter how much you feel the Reiki flowing, trust that the Reiki is always working for the highest good of all involved.